Mold Covers Nearly Everything Inside Public Housing Apt. McArthur Terry, 73, doesn’t go anywhere without a hat. "My dad used to wear hats all the time so, I guess I picked that up so I wear hats all the time," Terry said. 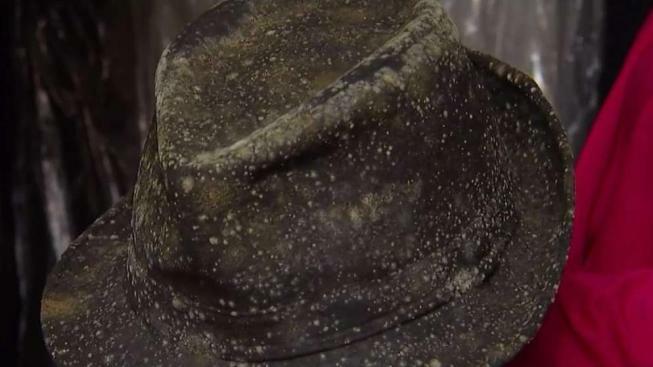 But now his hat collection is covered in mold -- along with his clothes, his furniture and almost everything else inside his apartment in Oxon Hill, Maryland. Terry has lived in the public housing building for six years. The apartments house seniors and people with disabilities. Terry said the mold problem began in May. Crews covered the mold on Terry's ceiling with paint, but he said they didn't actually remove the mold. After they finished painting, Terry told building management about his damaged clothes. "My clothes still have a lot of mold on them. She said, 'You'll probably be dead by the time they do the process on your clothes," Terry said. "If the manager did indeed tell him that, then I will deal with that in the most appropriate manner," said Eric Brown, the director of the Housing Authority of Prince George's County, Maryland. He urged residents who faced property damage to file a claim. Brown said he has directed his team to fix the mold problem since he found out about it. He said he has also directed that crews do more than paint over the mold. "If people have issues in terms of their personal items then we'll ask them to fill out a claim and we’ll make sure that, you know, to try to make them whole as best we can," Brown said. Nine of the building's 123 units have mold issues, the housing authority said. The department said it will re-check the work that should have already removed mold and expedite inspections for further mold.